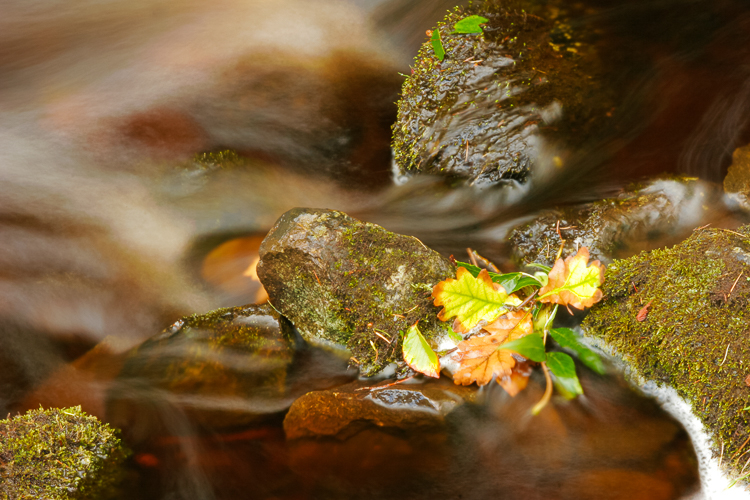 Adding some leaf to a stream is something photographers tend to do to "build" their motif. This oak foliage in best early autumn colors were already where they need to be - just waiting for me on a tracking tour in the Glenariff Forest Park in County Antrim in Northern Ireland. An extended exposure time and a stable tripod (whoever likes to carry such heavy piece of gear on such a trip) help a lot to get on chip what your mind creates.